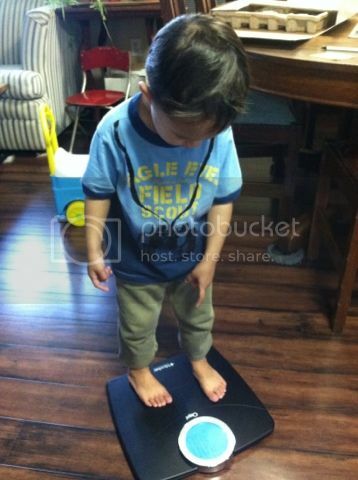 As I received another batch of new items for Product Reviews, my son starts to check out the bath scale too. So, he hops in and look how much he weighs. It's fun to see how much he weighs for I'm also trigger on how heavy he is lately. He enjoys the new bath scale, whenever he went to the bathroom, he will never miss to step on that bath scale to check how much he weighs. I wonder what he was saying when he is pointing at his weight hehehe. It's nice that he likes to weigh himself at least he can observe the changes in his weight. that is a nice scale, it looks lighter. My sons love to do that too but my weighing scale needs battery now. I should keep track of my weight since I am planning to start my zumba this year.